Bill Hsu has experience in construction, civil and criminal litigation. 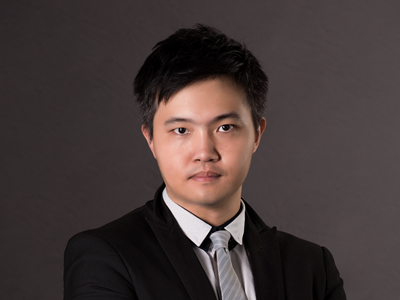 Prior to joining Innovatus Law, he worked at Formosa Transnational’s litigation division and served his alternative civilian service at Miaoli District Court as a Judge Assistant. He is familiar with litigation cases and the operation of the court. In construction litigation area, Bill participated in various domestic public construction litigation, and also was a consultant of a domestic metro rapid transit system. In the area of civil litigation, Bill is experienced in contract dispute settlement, labor law, insurance law, and family law. Bill represented an insurance company to file a suit against its former manager and successfully obtain favorable judgments for the client. Bill also participated in multiple types of criminal litigation. He was appointed by a famous domestic enterprise and successfully helped that company prosecute the responsibility of its employee and foreign customer. Aside from litigation experiences, Bill also provides legal service such as contract revision and legal consultancy. He assisted in providing legal advice for a well-known international mobile phone manufacturer. In the area of mergers and acquisitions, Bill represented a domestic OTC-listed company to successfully acquire the Taiwan franchise business of a famous U.S. fitness brand and undertook the acquisition of a domestic medical aid equipment company acquiring the Taiwan business of an international competitor. Representation of a domestic OTC-listed company to successfully acquire the Taiwan franchise business of a famous U.S. fitness brand. Undertake the acquisition of a domestic medical aid equipment company acquiring the Taiwan business of an international competitor. Undertake litigation regarding construction of National Freeway No. 1. Undertake litigation regarding underground project of Songshan Station. Representation of a domestic insurance company to file a suit against its former high executives. Representation of a well-known corporation group to prosecute the responsibility of its employee and foreign customer. Assist in providing legal advice for a well-known international mobile phone manufacturer.